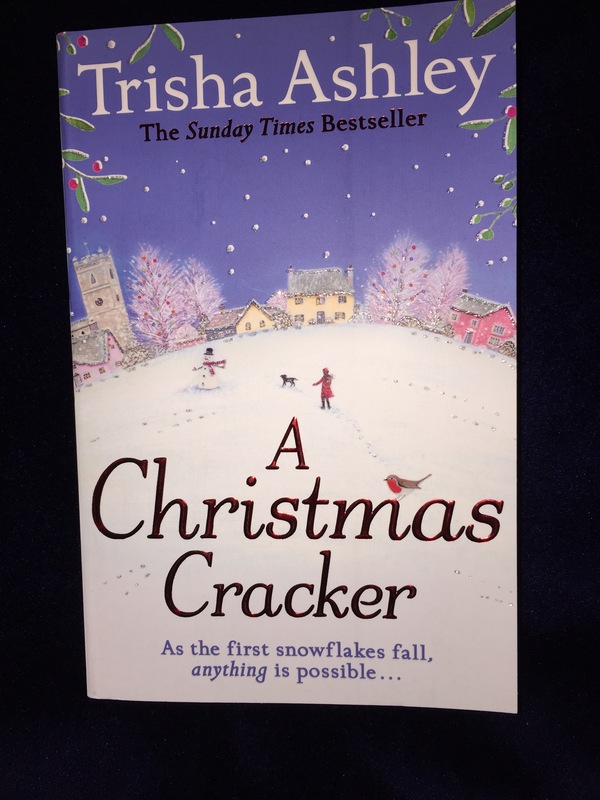 It will be absolutely no surprise to you regular readers that this week’s BotW is Trisha Ashley’s latest – A Christmas Cracker. You can see my previous musings on her work here, here and briefly here. I’m not usually a Christmas book in October kind of person (although I seem to have read a few of them already this year) but I’m always read to make an exception for Trisha. Her books are totally my catnip. Warm and humourous, with heroines on journeys and a variety of different types of heros. Her heroines have usually made had problems in their love lives before – whether through picking Bad Men or through mistakes and misunderstandings. I always think of them as second chance romances (as in slightly older people, and not their first love affair), but I know that the “proper” definition of that trope is the “we met when we were young but it didn’t work out, but now we’re trying again” type of story, although Trisha has written a couple of those and they’re really very good. Why can I never get a good photo of a book with foil lettering on the cover? I’m hoping that you’ve read that and thought – “Gosh that sounds generally delightful and festive too” – and it really is (if you didn’t, I’m sorry – I haven’t done it justice). Tabby is a wonderful and relatable heroine. I was initially sceptical about a lead character who starts off the book in the clink, but I shouldn’t have doubted Trisha – it’s a masterstroke. Trisha Ashley’s books have a long history of giving us quirky/fun older/elderly lady characters too (Great Aunt’s Hebe and Ottie in A Winter’s Tale, Mad Aunt Debo in Creature Comforts, I could go on) and Mercy is another great addition to the list – she’s a bundle of energy in light-up trainers who sees the best in everyone and will give hospitality to anyone. Honestly, I can’t say enough good things about A Christmas Cracker – I got an e-copy via NetGalley – but I went out at the weekend to buy myself an actual copy as well. And not just because I have all her other books in paperback (and most of them in ebook as well) and I have a thing about sets and completion, but because I wanted to read it again, in a proper book, so I can pick out my favourite scenes so I know where they are in the book so I can go back and read them again. If you only read one Christmas book this year (or before December at any rate) make this it. It should be everywhere – Tesco were selling it for a very special price of £2 at the weekend (so cheap that I almost wanted to go and buy it somewhere else in case it meant the author royalties would be smaller) and I’d expect it to be all over the place in the other supermarkets and bookshops. If I’ve sold it to you as being so good that you can’t wait to go to a shop (and you wouldn’t be wrong), the Kindle and Kobo editions are £2.99 at time of writing. Prices aren’t quite as special for the paperback at the online retailers, but here are the Amazon, Waterstones and Foyles links just in case. As ever making me sooooo jealous that I cannot read as many as you! Now I am punishing myself even more now I receive the email alert as soon as you post anew. I am a fool to myself.